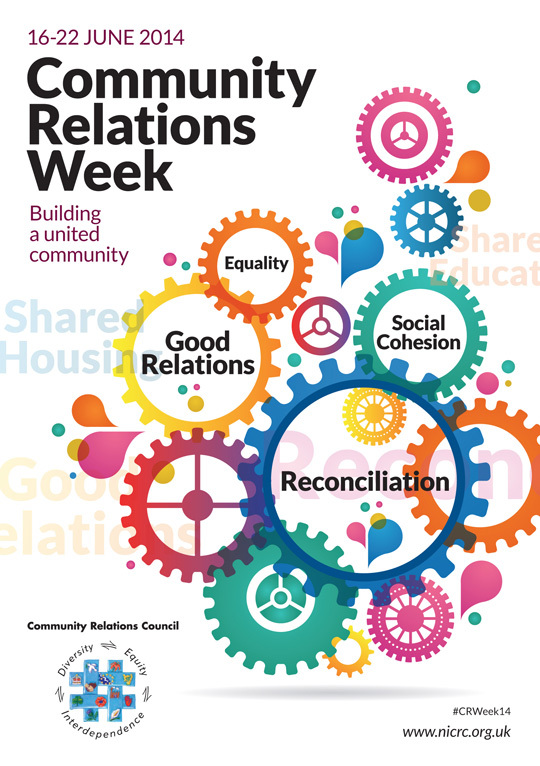 Down District is supporting Community Relations Week 2014 and its theme ‘Building a United Community’ with events planned as part of some 170 happening across Northern Ireland from 16 to 22 June. Community Relations Week is organised by the Community Relations Council (CRC) and includes events run by local councils, public bodies, schools, and community and voluntary sector organisations. 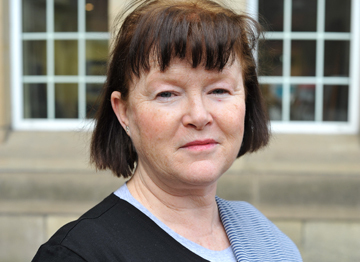 Jacqueline Irwin, CRC Chief Executive. Down events include a cross community Midsummer Celebration for seniors organised by the Harmony Community Trust on Thursday June 19 at Glebe House Kilclief. Participants from community groups in Down and Ards area are taking part in craft workshops to explore midsummer traditions in Ireland. Down District Council have organised a bus tour of the High Crosses of Down on Saturday June 21 which begins with a visit to Down County Museum’s exhibition ‘Digging our Faith: Exploring our Religious and Cultural Identity’. Advance booking is essential and the cost is £12 per person. Further details at Down County Museum 028 4461 5218. The week will begin with its flagship event, the Community Relations Council policy conference entitled ‘Finish the Job’ at at the 174 Trust, Duncairn Complex, Duncairn Avenue, Belfast on Monday June 16. It will consider how we might find ways to resolve the outstanding issues in the peace process. Jacqueline Irwin, the CRC’s Chief Executive, said: “Building a united community is as urgent now as it was when the peace agreement was signed in 1998. We have plenty of examples of our capacity to slip back into animosity and old ways of thinking. There is no room for complacency. “Community Relations Week is always an opportunity to showcase the great work that goes on quietly all year round to build and sustain relationships. It is a time to celebrate the ethnic and cultural diversity of our community and the many imaginative ways in which we are building a shared cultural region. and printed programmes can be obtained from local libraries.